Remember the Flying Saucer? 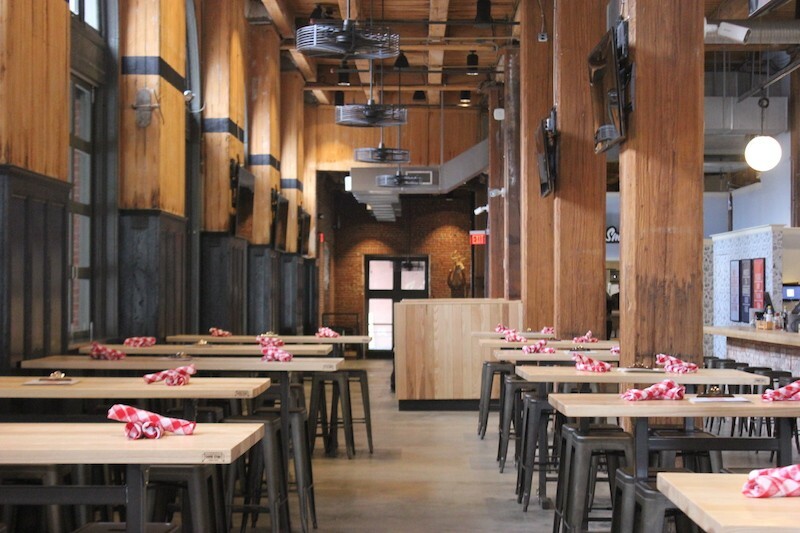 It's now Midwestern Meat & Drink, and it's virtually unrecognizable. 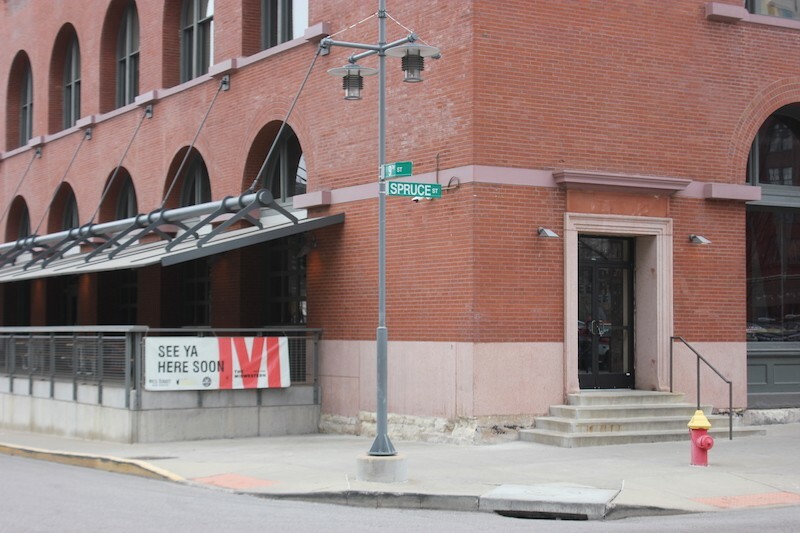 The Midwestern Meat & Drink (900 Spruce Street), which opens this Friday in the shadow of Busch Stadium, comes from the same team that brought you the Wheelhouse and Start Bar — which, yes, are also in the shadow of Busch Stadium. But if you think this is going to be the same sort of party place aimed at gorgeous 21-year-olds, you might want to take a look around. Evidence that the Midwestern is something different doesn't come only from the premium whiskeys on the very top shelf of the (very tall) bar. Nor is it limited to the quartet of thoughtful mocktails on the drink list, nor even the high chairs stacked neatly by the restrooms. No, perhaps your best clue is the aroma wafting from the kitchen, the inimitable mark of a top-notch chef smoking some top-notch barbecue. 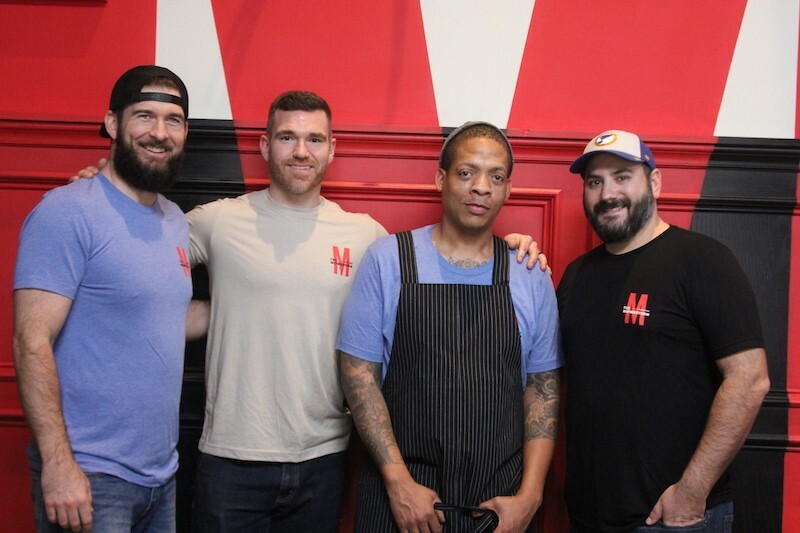 And that's exactly what's happening at the Midwestern: Not only is the Wheelhouse team all grown up, but they've gone into business with a star chef. That chef, Ben Welch, first gained national attention at his own counter-service barbecue joint, Big Baby Q and Smokehouse. Despite being located in the culinary wasteland of Maryland Heights, Welch's Big Baby Q dazzled to the point that Food & Wine named it the best barbecue in Missouri. Now Welch is supervising a kitchen staff of twenty, with Tello Carreon (who himself earned national plaudits for his work at Nixta) serving as butcher and Mary Bogacki of Yolklore doing the baking. "You want to find people who do things better than you and let them do it," Welch says, modestly. Which, in some ways, explains how he came to the Wheelhouse team, and they came to him. The Midwestern's brain trust, from left: Jared Ater, Stephen Savage, chef Ben Welch and Nick del Gaiso. Partners Nick del Gaiso, Jared Ater and Stephen Savage have enjoyed huge success in the downtown scene since opening the Wheelhouse downtown in 2014. (Start Bar followed, opening in the same building in 2016.) And when they learned that the Flying Saucer space at 9th and Spruce just one block east of their nightlife juggernaut was coming open, Savage says, they jumped at the chance to take it over. Savage admits his initial attraction was less the kitchen and more the huge outdoor patio, which literally overlooks the baseball stadium. When the landlord said they could have access to it, Savage was all in, imagining a stage for live music. "It stood out as a unique space, something that could be an amenity of its own," he says. The general contractor for all the Wheelhouse team's projects, Savage worked with his team to transform the space's sealed-off feel to something airy and modern. They're now hustling to get the space ready for opening weekend, even if the outdoor area comes down the wire. (They had to be open for Mardi Gras, he says — and they're the rare restaurateurs who hit the deadline they set for themselves.) After the rush of this weekend's opening, they'll be adding garage-style doors to the back patio for a perfect four seasons space. Reclaimed brick form the base of the custom bar, which runs 85 feet. The interior, however, is totally done, a striking spot with large windows that connect it both the streetscape and the stadium next door. 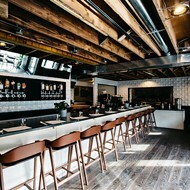 Tall tables are made of sustainably raised ash; so is the newly reconfigured bar, which clocks in at a massive 85 feet. The kitchen is in the back, and it was Del Gaiso who recommended Welch to run it. The rising star chef had been his instructor at culinary school, and the two had stayed in touch since, with Del Gaiso singing the praises of Big Baby Q to anyone who would listen. He messaged Welch, asking if he'd be up for working together. "He did not take me seriously in any way shape or form," Del Gaiso says, laughing. Confirms Welch, "Everybody says, 'Let's do something together.'" It wasn't until he walked in to what he'd assumed would be a low-key meeting and saw all three partners at the table that he realized Del Gaiso was totally serious. "I got here and was like, 'Oh.'" 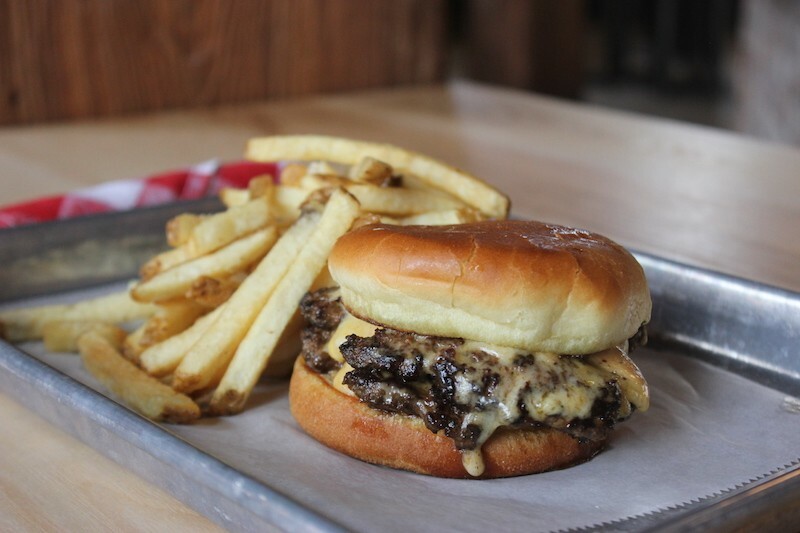 The Midwestern's cheeseburger is a double, topped with American-cheddar pub cheese, tomato jam and "Fry Sauce." Del Gaiso says the trio was ready — ready for chef-driven food, ready to open the kind of spot they themselves would want to hang at. "It's been a lot of volume and a lot of people who want to party," he acknowledges. "But I always felt like we were capable of something more." Part of it was a matter of the three being in a different stage of their lives; six years have passed since Wheelhouse first opened in Clayton (they later shuttered it to focus their efforts downtown). Del Gaiso and Savage each have two kids now; Ater is working on catching up. It made sense to think about opening a place that wouldn't be only 21-and-over, that would offer high chairs, and where — most importantly — you could get a terrific cocktail and some of the best food in town. Tony Saputo's cocktails include a house old-fashioned, center, along with creative concoctions like "the Drinkenstein," right, and mocktails like the "Golden Needles." And so not only is Welch in the kitchen, but acclaimed bartender Tony Saputo is running the drinks program, which includes not just high-end whiskeys for sipping, but also Saputo's signature complex cocktails and a smartly curated wine list. For food, Welch is offering a roster of items with a price point appropriate to a pre-game bite to eat, but quality high enough to bring in people just for dinner. And unlike Big Baby Q, which was pretty much barbecue or nothing, he's made sure to offer something for everyone. 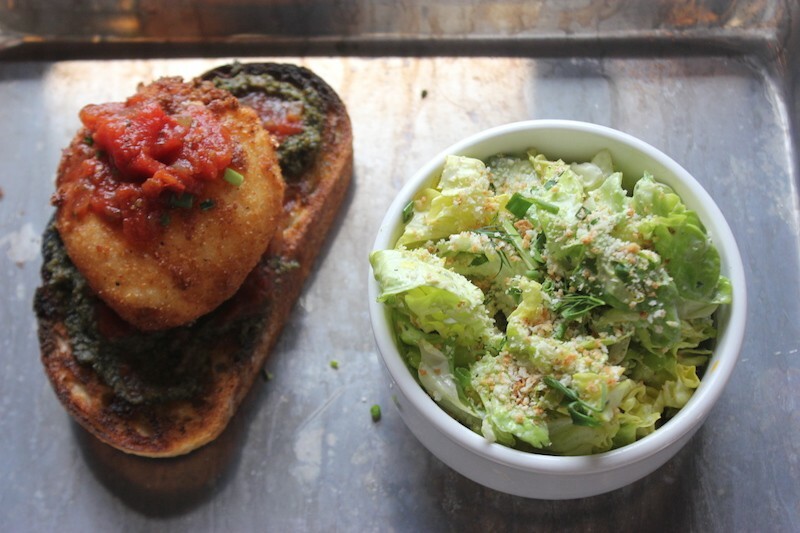 A fried burrata toast, served with a petite gem salad for a riff on the classic lunch combo. In addition to barbecue, you can get sandwiches (including ones with the option of gluten-free bread), roasted beets or a salad. Sandwiches are all $10 to $13, and that includes your choice on side. For a riff on salad-and-a-sandwich, Welch is serving toasts — topped with avocado, or fried burrata, or smoked trout, or a fried oyster — along with a petite gem salad, each for $13. Or, as an appetizer, try smoked bone marrow with an anchovy gremolata or smoked deviled eggs topped with turkey cracklin'. 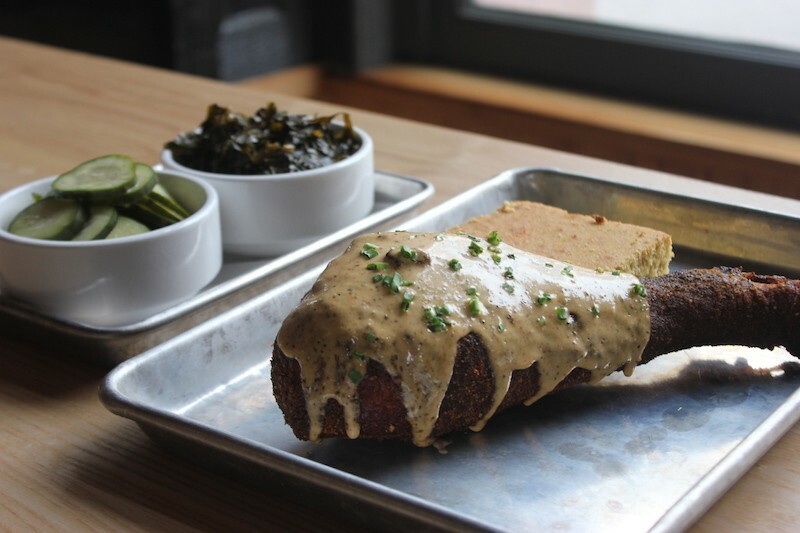 Smoked turkey leg confit, shown with pickles and collard greens on the side. Or you could just go straight to the barbecue. It is how Welch made his name, after all, and the offerings won't disappoint. As an appetizer, you can get BBQ Nachos or BBQ Fries, each topped with brisket, turkey or pulled pork in addition to a host of gooey toppings. For entrees, platters include everything from turkey breast to pastrami, each with the two sides of your choice plus cornbread. 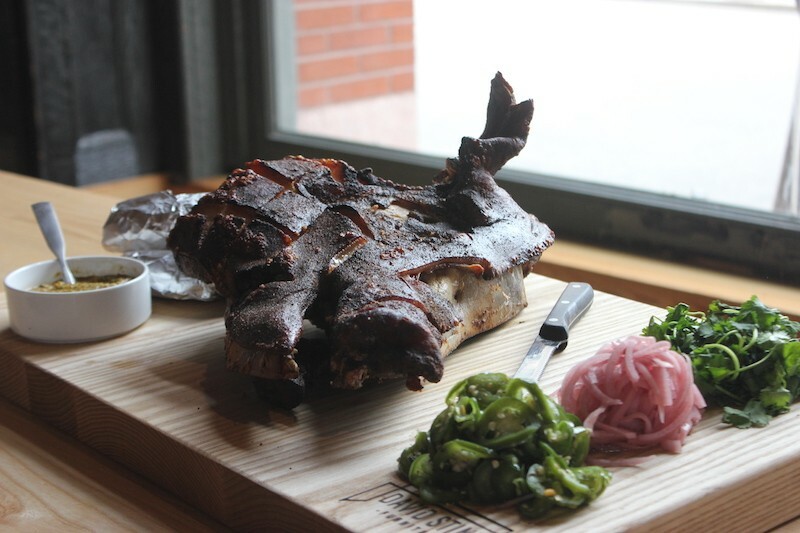 Platters run from $14 for the smoked turkey leg confit to $26 for a full rack of ribs. For $30, try the sampler: three bones of ribs, two wings and a quarter-pound each of turkey, pork, brisket and pastrami. Sides include mac 'n cheese, candied bacon-jalapeno potato salad, fries and ham hocks & collard greens. You can get an extra side for $4. And if you really want to go all out, the restaurant is offering a crispy pig's head. You have to order it in advance, and put down a deposit. But for $45, you and your closest friends can dig into this beast with either corn tortillas or your hands. It's served with jerk chimichurri and pickled red onions and candied jalapenos, and it's a showstopper. You'll need to order this bad boy in advance .... and put down a deposit. It is not, of course, the kind of thing the gorgeous young party people at the Wheelhouse would order. But that's kind of the point. "I knew that Ben deserved a bigger audience," says Del Gasio. 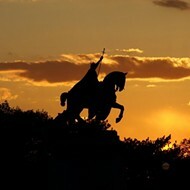 "He deserves the exposure of being right there next to Busch Stadium in the heart of the city. And now we get to show the people visiting from Houston that our barbecue is good." And our cocktails, too. 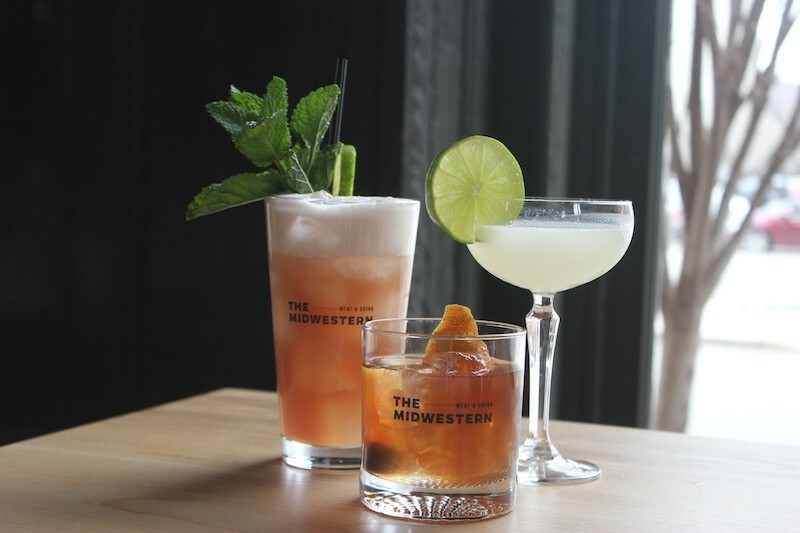 The Midwestern opens at 3 p.m. on Friday, March 1. After that, it will be open every day but Tuesday beginning at 11 a.m. 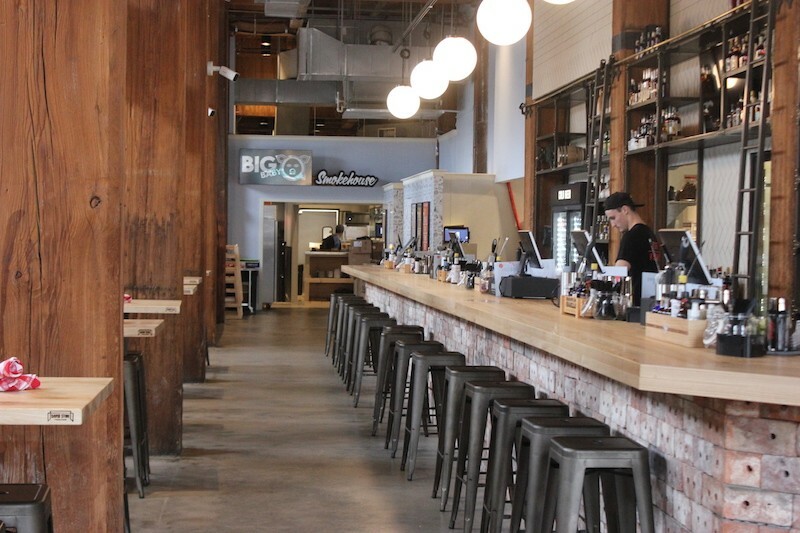 Eventually, the partners plan to acquire a 3 a.m. liquor license and also begin serving brunch on the weekends.